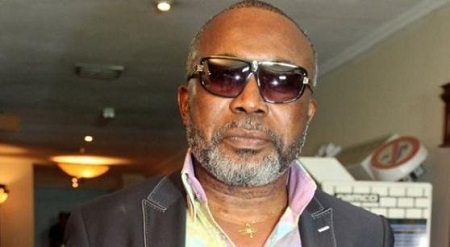 Ace Nigerian actor, Zack Orji, has lent his voice to the recent drug related deaths of young artistes in the entertainment industry and blamed poor parenting for the ugly trend. He said, “I would say the problem of drugs in the entertainment industry especially with young musicians is a problem of poor parenting. We must inculcate in our children a good moral compass. When they go wrong, we must not fail to correct them. We should not condone certain things and make our children feel like they can get away with certain things. That is one of the problems we have with the so-called influential people in the society. They are always ready to bail out their children irrespective of what the children did, not minding the fact that whatever your son does to another person, that is also another human being. Citing himself as an example, he opened up to Saturday Beats that he also experimented with cigarettes and Indian hemp but quit the bad habits when he realised that they only caused him more harm than good. Orji said, “I quit smoking because at a certain time, it was no longer pleasurable. As a matter of fact, I discovered that anytime I smoked over the years, I fell sick. I gave it up the first time for three years, then I relapsed but I finally stopped three years after I got married. I just discovered that anytime I smoked, I did not feel comfortable with myself, so I gave it up. I only smoke now when my character as an actor requires me to pick up a stick of cigarette. To be honest, I tried marijuana as well but it did not agree with my body system. One thing is certain; you must know your body. You cannot be foolishly doing something knowing very well that it is affecting you negatively. It also has to do with peer pressure. “I wrote a song in 1978 and in Enugu, there was this band they called IK Mudodo; they were the resident band in the 82 Division soldiers’ club. I used to go there to sing and perform with them on their Friday gigs. The band leader then was the one who introduced me to smoking Indian hemp and that was the first time I tasted Indian hemp, in 1978. He was quick to advise the younger generation to always be independent.